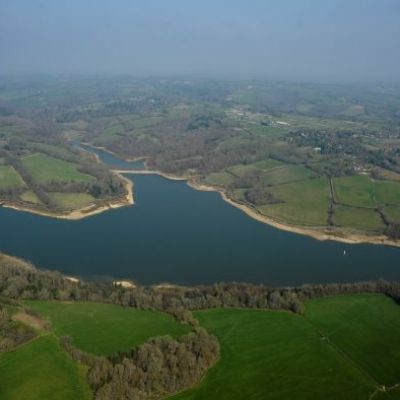 Based at the Ardingly reservoir at the Activity Centre. 'Swim the Lake' has three distances around a lapping 750m triangular course. 3km, 1.5km and 750m Course marked by clear large yellow buoys. Support craft & cafe available. A great venue for spectators as the start, finish and the whole swim course is visible from the 'wall'. Each person gets a participation medal. warm up at 6.45, start 7pm prompt. PLEASE NOTE: Registration will close at 6.30pm, so arrive as early as possible, the event start will not be delayed and you cannot enter the water after the starting gun. Unlikely to be entries on the day as this delays the start. wetsuits are compulsary for this event up to & including 23 degrees C. So No wetsuit- No Swim!! A beautiful site for lovely Weds. summer's evening of swimming! !